Wheelgate Adventure Park is Nottinghamshire’s biggest family attraction and one of the most popular smaller theme parks in the UK. With its different themed indoor play areas, animals, rides and water park, it is perfect for families with younger children, and has plenty to keep older kids and adults amused too. From a play area themed as a spaceship with cool visual mirror effects to rides on real ponies, there are all kinds of experiences to be had every time you visit Wheelgate Adventure Park, and it is affordable too – especially when you make additional savings using the Wheelgate offers you'll find with us at vouchercloud. Whatever the occasion, and whatever the season, Wheelgate Adventure Park is sure to become a firm favourite with your kids, and a good place to spend some fun quality time as a family! How do I use my Wheelgate discount code? You can pay for admission at the park when you arrive, but generally it is cheaper to book in advance online. This can also save you time on arrival, so you can get straight to the fun and adventure without having to wait around to buy your entry tickets. For some special events booking in advance is necessary to avoid disappointment. When is Wheelgate Park open? Wheelgate Adventure Park is designed to be an all-weather day out, due to having many of its attractions indoors. It is open all year round, 7 days a week, with the exception of Christmas Day, Boxing Day and New Year's Day. What time does Wheelgate start admitting people? The park opens at 10am every day. Closing times vary seasonally, with some evening events that go on into the night on special occasions like November 5th when they have a firework display and bonfire. Is food and drink available at Wheelgate Adventure Park? Most zones at the park feature their own restaurant or cafe, and there is a wide choice of foods and beverages from adult meals through to ice cream and other sweet treats. Some of the restaurants are only open on weekends and during school holidays, however. There is also a picnic area if you'd rather bring your own food. Wheelgate Adventure Park is a great day out for all the family, whatever the season. Now, you can take your family for a memorable day out for less when you take advantage of a Wheelgate discount code. Located in Nottinghamshire, close to Mansfield, it is a theme park that incorporates the Robin Hood water park. Whether you are looking for somewhere fun to go on a weekend, or somewhere cool to spend an occasion like bonfire night, you're guaranteed to have fun at Wheelgate Adventure Park. 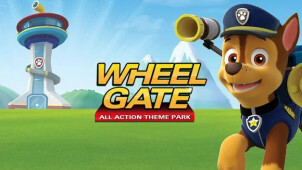 Wheelgate Adventure Park is divided into zones, each with their own theme and things to do. With the ancient Egyptian themed Land of the Pharaohs zone, the space themed Alien Galaxy Zone, a locally themed Robin Hood zone, and an animal adventure zone where you can come face to face with and even touch all kinds of interesting animals including reptiles and birds of prey, there is plenty to see and enough to keep the family busy for a whole day out. Buy a Wheelgate annual pass with your Wheelgate discount code to get even better value for money, and enjoy unlimited visits with your family. The animal adventure zone at Wheelgate Adventure Park is one of its best-loved attractions, as it includes plenty of opportunities to learn about unusual animals, and also to touch and pet different creatures like goats, rabbits and guinea pigs. You can meet them all for less, when you book your tickets with Wheelgate vouchers. There are falconry displays, pony rides, and talks about many of the park's creatures, and this is a big draw for kids of all ages who are interested in animals and wildlife.